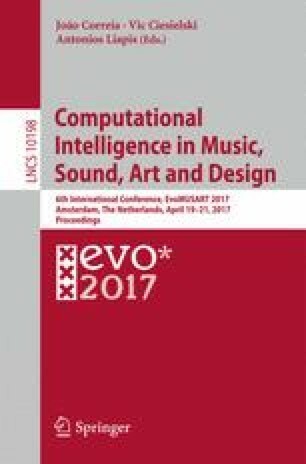 In the field of Computer Music, computational intelligence approaches are very relevant for music information retrieval applications. A challenging task in this area is the automatic recognition of musical styles. The style of a music performer is the result of the combination of several factors such as experience, personality, preferences, especially in music genres where the improvisation plays an important role. In this paper we propose a new approach for both recognition and automatic composition of music of a specific performer’s style. Such a system exploits: (1) a one-class machine learning classifier to learn a specific music performer’s style, (2) a music splicing system to compose melodic lines in the learned style, and (3) a LSTM network to predict patterns coherent with the learned style and used to guide the splicing system during the composition. To assess the effectiveness of our system we performed several tests using transcriptions of solos of popular Jazz musicians. Specifically, with regard to the recognition process, tests were performed to analyze the capability of the system to recognize a style. Also, we show that performances of our classifier are comparable to that of traditional two-class SVM, and that it is able to achieve an accuracy of \(97\%\). With regard to the composition process, tests were performed to verify whether the produced melodies were able to catch the most significant music aspects of the learned style.